. The resort is envisaged to contain top range hotels and restaurants, a convention hall, a number of golf courses, marina and theme park. Today, Tanjung Lesung offers a perfect place to lay back and immerse oneself in the beauty of nature found along the vast stretch of soft white sandy beaches, clear and calm blue waters, and fresh tropical breezes. The 15 km shoreline is the perfect place for various beach activities such as beach volley, beach football, or just lie down under the indulging sunshine. 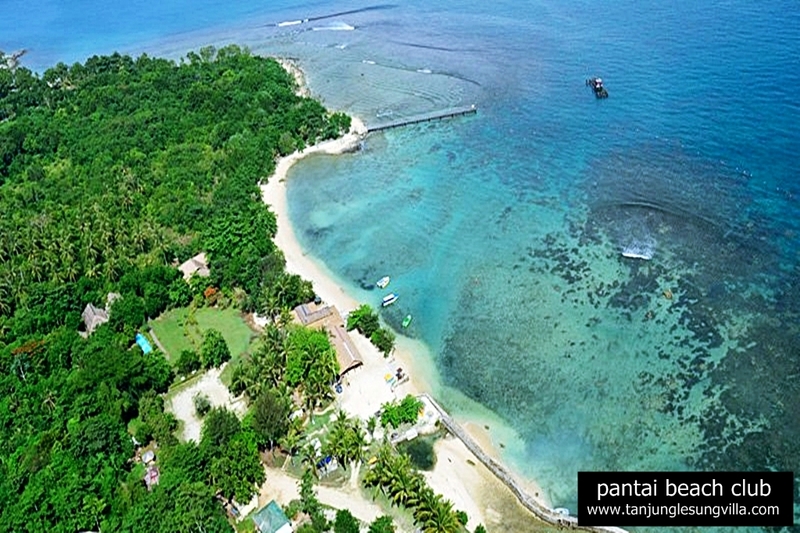 The magnificent scenery of Tanjung Lesung also lies beneath the surface. Beautiful coral reefs, decorated with colorful fish and seafloor dwellers make this a perfect spot for snorkeling and Diving. For those who enjoy the sensation of reeling in the big fish, there are many fishing spots that await off the coast of Tanjung Lesung.